My favourite place in Hong Kong is aboard the Star Ferry. It’s an eight minute journey that takes you across Victoria Harbour from Tsim Sha Tsui to either the Wan Chai Convention Centre or Central Pier 7. I have done this journey in glorious sunshine, fog, a rainstorm, after a night out and just for the hell of it - you name it, the Star Ferry beats on against the current. 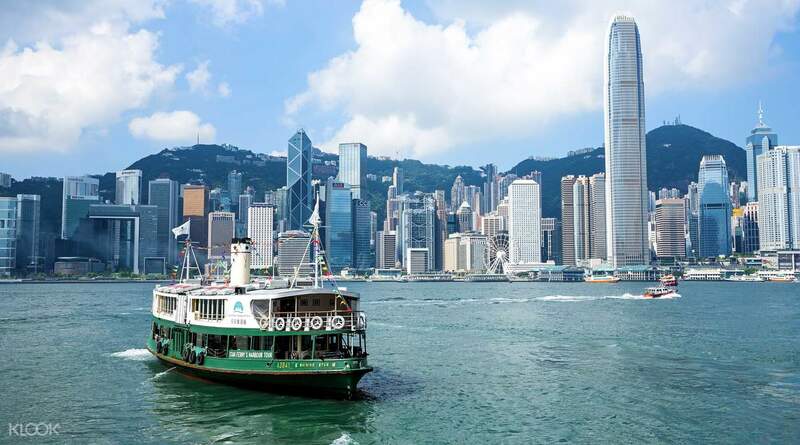 It is an integral part of Hong Kong’s heritage and culture, carrying over 70,000 passengers a day. Twice in its 129 year history have protests erupted over proposed changes to its operation; in 1966 over fare charges and as recently as 2006 when its docking point was moved. One of the reasons I love the Star Ferry so much is that it links Hong Kong’s two worlds: Hong Kong Island and ‘the Kowloon side’. I work and live on the Island and can’t imagine doing otherwise. Equally, those in Kowloon feel the same. Stereotypes tend to hold true; the Island can be more polished, Westernised and expensive, Kowloon has a rawer edge and $5 (50p) dumplings on almost every corner. In many ways, it seems appropriate that a city which prides itself on being the place where East meets West should have such a geographical divide (although in this case, it’s South meets North). On the other hand, it is, of course, an arbitrary distinction. Hong Kong’s melting pot of cultural habits spills out everywhere. In Sheung Wan, a young expat enclave, live fish flap on the cutting boards of market stalls while just next door you can enter a speakeasy restaurant named for an international burlesque dancer and enjoy ‘Thai Western Cuisine’ - whatever that may be. Choice is the Island’s watchword and raison d’etre. Everything is on offer. The joy of living in Hong Kong is that nothing ever has to give - although sometimes it’s helpful to let go of any claustrophobia. Studying in Edinburgh, I had to forgo the sensation of warmth for almost four years and, more significantly, I had to give up Mexican food because it simply wasn’t there. In Hong Kong, it’s all there, jumbled up next to each other or on top of each other and ready for your custom. Hong Kong Island condenses this idea: it’s the place where anything and anyone goes and whatever you choose is on offer. A beauty pageant organised by Filipino domestic workers right outside the HSBC building, one of the most striking and famous towers of Hong Kong? Sure! Why not? This is one of the reasons I have fallen in love with Hong Kong. It is unadulterated and unapologetic in its inclusivity and variety. It sits in a precarious political position but its people are welcoming and its society always seem to have their arms open wide to innovators, businesses, entrepreneurs and even native English teachers. Every time I take the Star Ferry from Tsim Sha Tsui, I’m reminded of this sentiment. I always hang my head out the window to try and grasp the magnitude of the skyscrapers lining up before me, inviting me to take my pick and welcoming me to the place where you can have whatever you want.